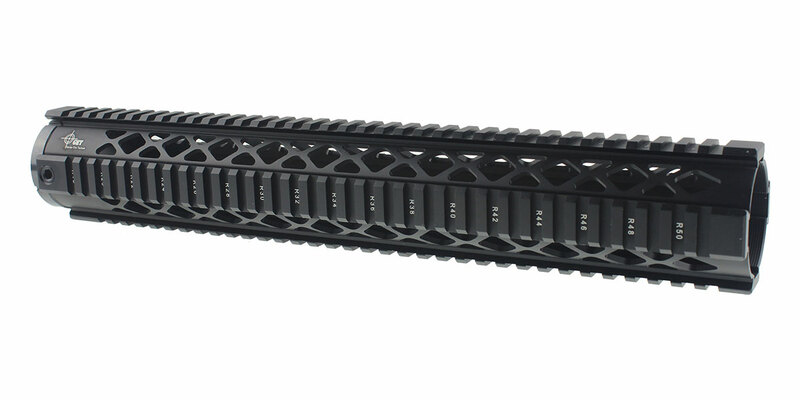 Golden Eye Tactical 15" Quad Rail AR-15 Handguard with Triangle and Square Pattern handguard is the next generation of rails from Golden Eye Tactical.This Quad Rail is optimized for mounting a variety of accessories or optics.This rail attaches to an included barrel nut constructed so the heat does not transfer to the handguard as quickly. 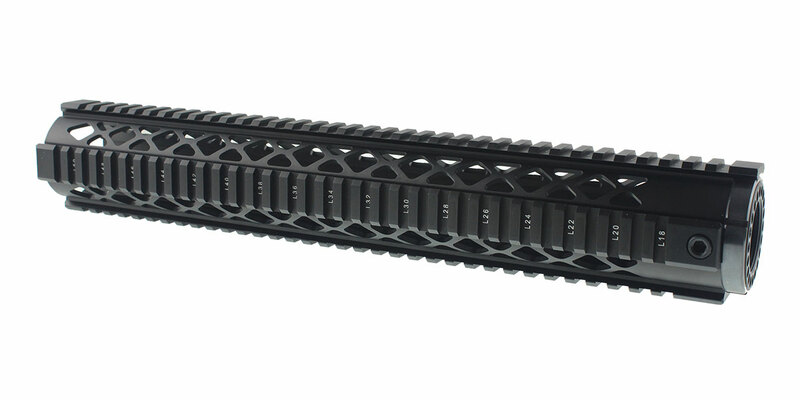 Generous ventilation slots help to keep heat from transferring into the handguard and into the operator's hand. 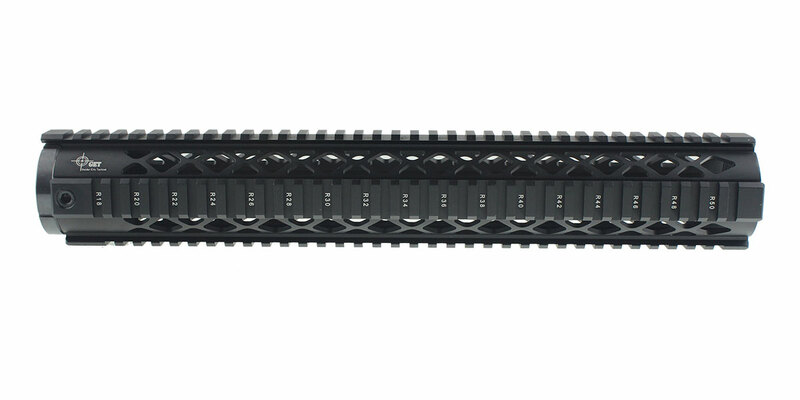 This handguard is compatible with all Picatinny direct attach accessories.